Lebanon restores old synagogue – Why? 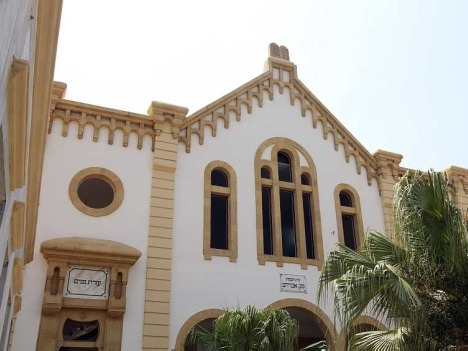 Uncategorized / Comments Off on Lebanon restores old synagogue – Why? Lebanon has paid for a handsome restoration of a crumbling 1925 synagogue. Why? “Political officials and community leaders became convinced it could show that Lebanon is an open country, tolerant of many faiths including Judaism.” Is the world really that easily gulled? Among the many absurdities here, I will focus on the most trivial, the assertion that this is a “Moroccan-style synagogue“. It is, in fact, Rundbogenstil. One of hundreds of synagogues built worldwide in the style of the 1839 synagogue at Kassel. Nothing Moroccan about the Maghen Abraham building in Beirut. In 1925 the congregation was making a statement that called attention to it’s fashionable, modern, international style.